Why DFScoin is a great investment! DFScoin is in a very special place as an investment. When investing into a new project the reward can be massive but the risk associated with investing in said new project is also huge. More times then not new projects end up being scams or the projects are abandoned. I’ve invested in my share of new projects over the time I have been in the crypto space and I’ve both lost big and gained big. The biggest thing I learned with investing into new projects is to weigh risk to reward. For the most part the risk of investing into these projects is super high and a large majority of new projects today are either scams or just don’t make it. Every now and then though I will find a new project in a magical phase of its growth where it has everything that you want to see in a project, but it just hasn’t taken off yet due to not having been adopted by the widespread community yet. In the rare case that I find myself looking at a project like this after doing extensive research on said project I start accumulating as much as I can and putting it away. If you look at the top 100 crypto coins the majority of them have a similar thing in common. When they started they all had a good professional team and a great project/idea. They all produced and even though they produced after the initial spike when they entered the market, they all have a long period of a lull on the market. Finally, they all explode and when they do, it happens all at once and when done its over you missed your chance. It’s always the same thing. Now why is this? Its because crypto is a very fast paced market. Crypto markets fluctuate so much and so largely that traders live fast, investors live fast everything is just fast. The problem with this is that people end up being so fast paced that they miss out on those massive gains that make wholes. I know because ive been there and done that on more occasions than id like to think about. I could have gotten into stratus very early and made more money than I would have known what to do with. So many projects I really liked that I missed looking back it almost hurts to think about. DFScoin is one of those projects. Now I never expect or would want anyone to invest in anything without doing extensive research. It’s one of the biggest learning curves for most new crypto investors. Research is the most important part of being successful in crypto because at any point in time you could lose everything. It is also the most important part of investing in any new project. The thing is that when investing in new project price means very little until the end of the investment. Here is why, if I was on the outside looking in DFScoin would be a no brainer for me. Why is it that investing into new projects is so risky? The reward for investing early if you get a good project is massive so why is it that everyone isn’t rich? It’s because for every good new project hundreds of scam projects or projects without the necessary means to succeed exists. So how do we figure out what to invest in for those big rewards? It all comes down to risk vs reward. The reason DFScoin is in that perfect investment spot is because a few major parts of the high risk of investing in a new project have been taken out of the equation. The #1 biggest risk in investing in a new project is if it is a scam. The reason this is such a big risk is because yes, you can buy into a new project cheaply most of the time, but if said project is a scam you stand to lose the whole of your investment. That’s all of it completely loose and for most investors that is just a massive risk that isn’t worth the reward. The thing about the stage the DFS project is in is that it has proven and established itself as a legit project. At this stage it would be counter productive for the project to be a scam so it hedges the risk vs reward by taking the risk of loosing everything out of the equation. Does this mean an investor can’t lose money on the project? Of course not like any other investment, if the price goes down and you sell you will lose money. The difference is that an investor investing in a new project with this risk could lose everything where investing in DFS your risk is only if you may take a loss. Both are bad, but I would rather take a risk on something that I may take a loss on rather than lose everything on any day. The best part about this is guess what the chance for that big reward is still there..
I’m all about people researching before investing as stated earlier, it is the most important thing. So now I’m going to talk about the things that make DFScoin a perfect high reward investment. 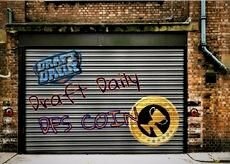 The DFScoin team is one of the most active teams in crypto. Not only are they active, but they also have a full professional team. It’s not just a couple of random people with hidden identities. Why does this matter? Because a good number of sincere new projects end in a complete loose due to being abandoned. Why is that? Because many new projects are started with good intentions, but the team does not have the skills or the means to bring the project to fulfillment. DFScoin has a team of skilled individuals and they have made sure to have the skill set needed to see the project through. Now for one of the biggest keys to all of this, the work. If you really dig in and research the way you should your going to see the massive amount of work that has been done continuously on this project. The team has not stopped updating and adding to the project since it started. I’m not taking the little expected task to keep a project alive, I’m talking real work to improve on and create the best platform available in its space. All of this equates to one amazing investment opportunity that has extremely high reward to risk ratio. Investing is more about numbers and less about emotions and if I was on the outside of this one I would be buying whenever I could. DFScoin has master nodes coming soon. Now master nodes are nothing new and yes a lot of coins have mastered nodes now, but here is the catch… Masternodes are not all that’s coming.. With the addition of master nodes comes a few other game changers. 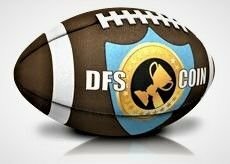 We have not released dates yet and have not announced what else is coming with master nodes, but I can tell you that the changes coming are bigger than anything that DFS has ever done and are 100% true game changers! This isn’t a long term thing either this is coming soon, dates will be released very soon. Don’t be one of the people looking back with regrets do some research and ask yourself why you wouldn’t invest in DFScoin over any other new project on the market. Thanks for reading. Feel free to comment and share your opinion. I will respond and would be more than happy to talk with anyone about the DFScoin project. Don’t forget to follow and if you liked the content up-votes help me to continue with my work.